Gamblers, try your luck at the largest casino in the Caribbean at Atlantis, Paradise Island. The Atlantis Casino was designed for the elegant gambler. The Crystal Gate, at the entrance of the casino, is designed by artist Dale Chihuly and weighs 30,000 pounds and is constructed of 2,000 peices of hand blown glass. It's an 18-foot statue that looks like rock crystals growing straight up. It's amazingly beautiful. Inside, the 50,000-sq-ft casino spans a seven-acre lagoon with skylights and windows giving you the outdoors inside. 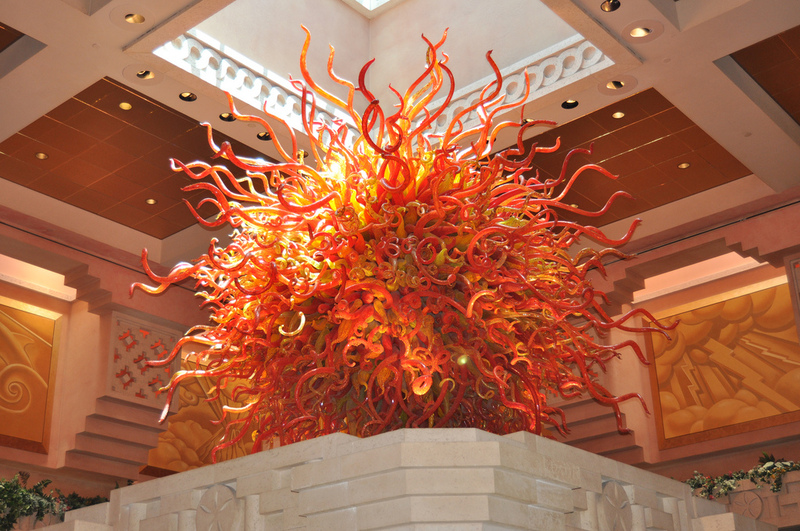 Chihuly's beautiful glass sculptures give the casino a vibrant, colorful energy. 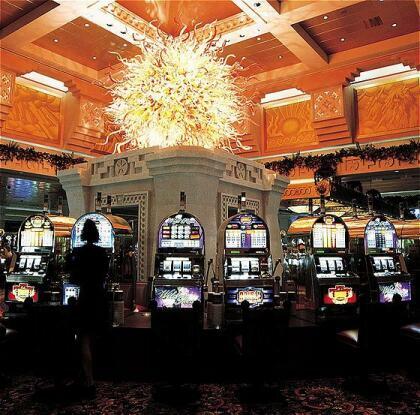 The casino has more than 1,000 slot machines and 100 gaming tables including Blackjack, Craps, Roulette and Caribbean Stud Poker. Atlantis offers the ease of using your room key to play slots or at any gaming table. When presented, Atlantis rewards you with complimentaries, discounted room rates and invitations to special events and tournaments. For those of you who aren't casino savvy, Atlantis also offers gaming lessons. Held daily at 3pm inside the casino. Also tucked inside this massive casino is Dragons Nightclub. Dragons features a black-granite bar, video wall and sculptures of dragon pairs. This nightclub does not accept cash under any circumstances, so make sure you bring your room key to pay for entry and beverages.